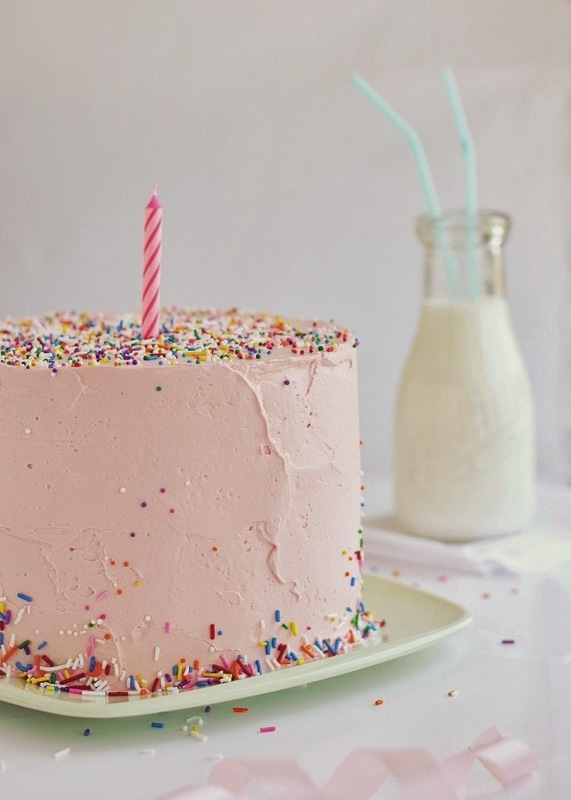 Cakes, we love them, we love to look at them and we love to eat them! When you think of a cake for a child’s birthday party you tend to think of cakes covered in characters. However, there is an alternative. There are some very talented cake designers who take the less is more approach and produce the most simple but stunning cakes. At Les Enfants we love these cakes and hope that more clients go this route. The less commercial themes are so much fun to work on and the cake can really reflect the style of the party. Below we have selected a few of our favourites. Hello Naomi is one of my favourite cake designers, I just wish she was based in the UK. Her cakes are elegant and simply stunning even when using a recognised character. I have to say with the relaunch of the Miffy books in the UK, I can’t wait for our first party to style. 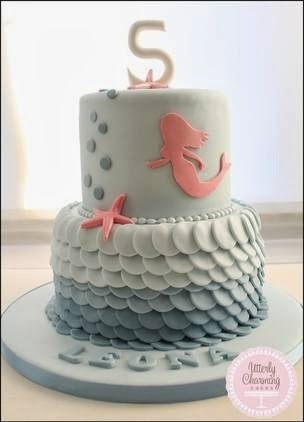 Now how about this for a first birthday cake, I love it, simple, effective. This is one that you may be able to try at home as well. 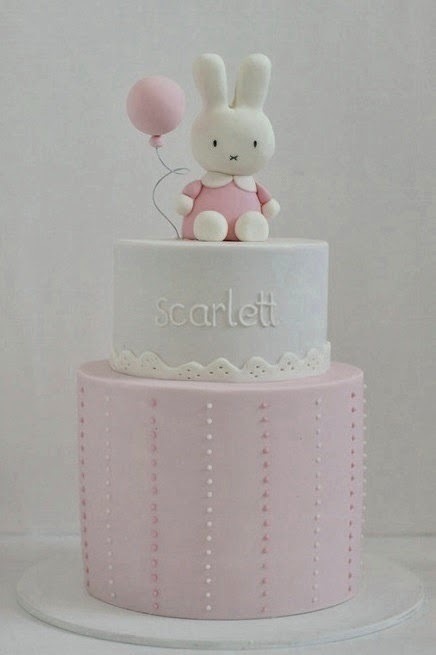 Our next cake has a very simple and striking design and was made to celebrate a baptism. 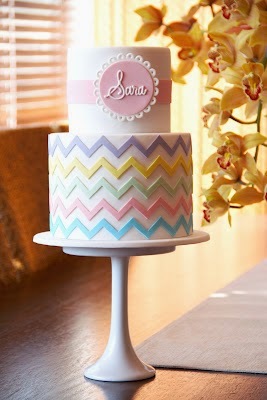 It utilises the recent chevron trend in party design very well. 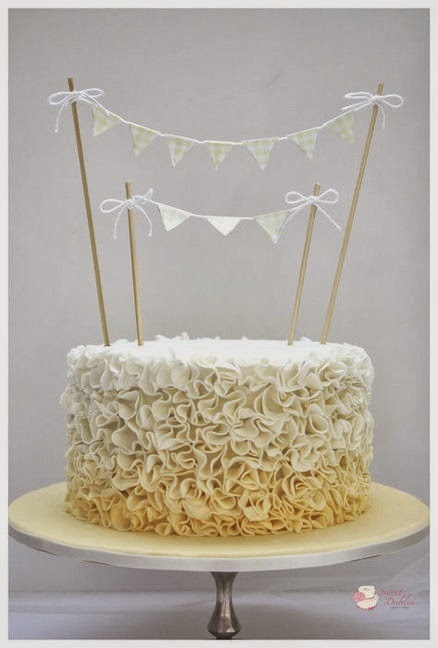 I am also a big fan of the ruffle cake and have been lucky enough to have a few clients choose this option. Love this one with the addition of the bunting. 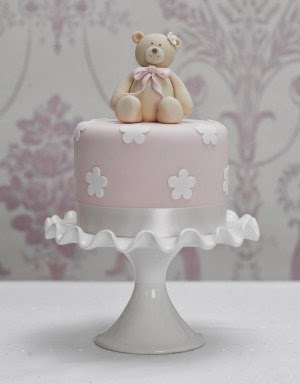 We have never stopped our love affair with the work of The Cake Parlour, we’ve done a few teddy bear picnic parties in our time and this teddy bear cake always hits the mark. We really could go on, there are so many talented cake decorators but we will finish with Utterly Charming who posted this stunning mermaid cake the other day, sums up exactly how wonderful a good children’s birthday cake can be.